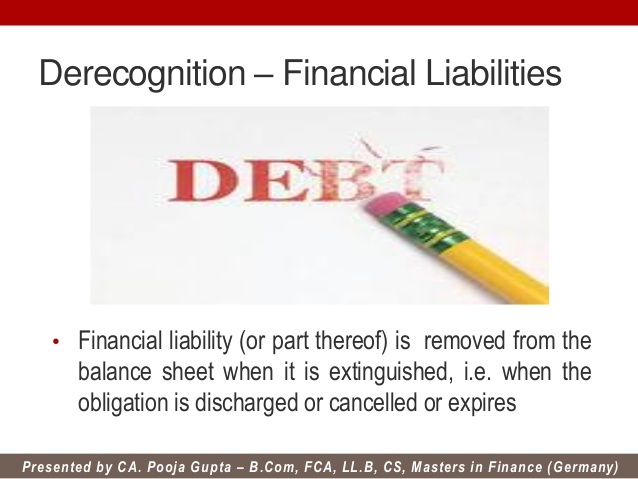 Derecognition may be the term used for removing an asset or liability in the balance sheet. IAS 39 packages out the criteria for de-recognition regarding financial assets and liabilities plus the consequential accounting treatment method. Once the asset involved for derecognition continues to be determined, an assessment is manufactured as to whether the asset has been transferred, and in that case, whether the transfer of these asset is subsequently eligible to derecognition. If the business has neither maintained nor transferred substantially the many risks and rewards from the asset, then the business must assess whether it’s relinquished control from the asset or not really.